Most of the contemporary homes nowadays have an HVAC system at home of in their workplace. It is essential that you also have an air handler with this system in order to regulate the blowing of air in and out of the system. It is true that technology has empowered us an vested us with powers which have made life easier and more comfortable but what is essential is maintenance of these technological tools so that it can continue to serve you. Therefore, for you air handler maintenance too, you need to hire a professional service. We, at Air Cleaning Technologies, can help. We have effective equipment and certified technicians in our team to clean, sanitize, and restore your air handler which has deteriorating or leaking metal casing. We can evaluate certain parts of the air handler and provide samples of the air quality. With our great quality service at reasonable rates, we have created a solid base of customers in areas such as Bethesda MD, Bowie MD, Frederick MD, Rockville MD, Silver Springs MD, and Washington DC. Here, we have enlisted a few reasons why hiring a professional is absolutely necessary for air handler maintenance. Take a look. The professional companies have a skilled and dedicated staff who can use their expertise to maintain the air handler. 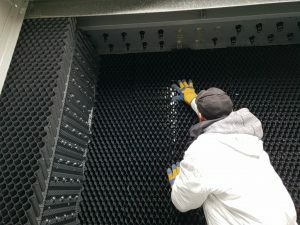 They will be able to detect issues faster while cleaning the air handler and guide you better regarding it’s usage which will increase its lifespan. Next, you can save your money if you hire a professional to maintain and clean the air handler. If you take things in your own hand, you are likely to make more mistakes and finally will spend more money in its repair or replacement. So, if you think we can be a good choice for cleaning your air handlers and restoring back to a good condition, get in touch with us now.